Compensatory time, referred to as comp time, is paid time off given to a non-exempt employee instead of overtime pay. Rather than paying employees time and a half in overtime pay, a company which has a comp time policy gives paid time off from work, for the equivalent amount of time to the extra hours worked. The laws surrounding compensatory time vary between exempt and non-exempt employees, federal and state law, and whether the employee is a public or private sector employee. Employees are considered either exempt or non-exempt employees based on their job duties and responsibilities. Review the following information on compensatory time, including who is eligible for comp time, comp time instead of overtime pay, and how many hours employees are eligible to receive. In some cases, for federal employees, compensatory time may be given in lieu of overtime pay. This paid time off may be approved for employees who are required to work extra hours under more flexible schedules. In addition, in certain prescribed conditions, employees of state or local government agencies such as law enforcement, fire protection, and emergency response personnel engaged in seasonal activities, may receive compensatory time off. Comp time must be paid at the same rate as overtime pay - one and one-half hours of compensatory time for each hour worked. Failure to compensate an employee with identical rates is a violation of the Fair Labor Standards Act (FLSA). Whether comp time can be given in place of overtime pay depends on whether an employee is considered non-exempt or exempt from overtime according to the Fair Labor Standards Act guidelines. Private sector non-exempt employees covered by the FLSA must be paid for all overtime hours worked and are not eligible for comp time. Some states have laws regulating when and how compensatory time can be used, and allow employers to give employees comp time. Check with the State Department of Labor in your location for guidelines on what is applicable to your situation. Under the Fair Labor Standards Act (FLSA) regulations, private sector employers can only give comp time if the time off is used in the same pay period the overtime occurred. FLSA-exempt employees are required to use their compensatory time off after 26 pay periods, so it cannot be stored or rolled into the next year to be used at a later time. 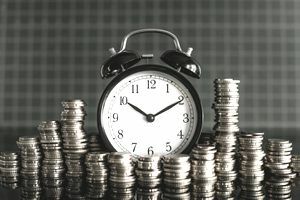 FLSA covered non-exempt employees working for private employers must be paid overtime pay, at one and a half times their usual rate of pay for any hours worked outside of the regular 40 hour work week. Giving non-exempt employees the option to take compensatory time or extra paid time off is a violation of federal law because non-exempt employees are legally required to be paid time and a half for any extra hours worked. However, state laws may vary. According to the Department of Labor, under certain prescribed conditions, employees of federal, state or local government agencies may receive compensatory time off, at a rate of not less than one and one-half hours for each overtime hour worked, instead of cash overtime pay. Law enforcement, fire protection, and emergency response personnel and employees engaged in seasonal activities may accrue up to 480 hours of comp time; all other state and local government employees may accrue up to 240 hours. An employee must be permitted to use compensatory time on the date requested unless doing so would “unduly disrupt” the operations of the agency. What if Your Employer is in Violation of the Law? A survey of 500 employers commissioned by TSheets revealed that almost 30 percent of respondents used comp time sometimes or regularly with non-exempt employees. Many employers (18 percent of those surveyed) offered non-exempt employees a choice between comp time and overtime, anticipating that some employees may actually prefer paid time off to overtime pay. So, don't be surprised if your employer is in violation of the law. If you prefer overtime pay, the first step should be to consult with a contact in Human Resources to discuss the issue. It is possible that some organizations, particularly smaller employers, are unaware of the regulations. For clarification, you can contact the U.S. Department of Labor's Wage and Hour Division (WHD) which is responsible for administering and enforcing worker protection laws. WHD is charged with ensuring that workers in this country are paid properly and for all the hours they work, regardless of immigration status. Also, check with your State Department of Labor for information on state law in your location. If you have questions or concerns, you can contact them at 1-866-487-9243 or visit https://www.dol.gov/whd/. You will be directed to the nearest WHD office for assistance. There are WHD offices throughout the country with trained professionals who can help you.